When you first meet somebody, you find out they like you first of all. A friend of a friend of theirs says, "he or she really really likes you," and it kills you, floors you, sends you to the ground. You've got to pick yourself up off the ground. Then you get their phone number and you call them up, right? And you say "Yeah, that's a really great phone conversation. Can I see you some time?" And then they'd say this, they'd say, "I'd like that." Nothing feels better than "I'd like that." So now, your blood pressures' going, you're six feet off the ground, you can't sleep because of "I'd like that." So then you hang out for a while and you call and you talk on the phone all the time and then you drop the bomb. What feels like the bomb? You say, "You know what? I've been thinkin about you a lot." And she goes, "Ahhhhhhh!" And you go "What happened?" and she goes, "I'm sorry, I just, I just, I just, that's, I've been thinking about you, too." Bam! Higher into the sky. But now "I'd like that?" Tch. Done. Now you're up to "I'm thinkin about you." Then, however number of months pass, it makes you feel comfortable saying it, you say "I gotta tell you something." They go, "What?" You go, "I'm in love with you." And nothing in the world sounds better than "I'm in love with you." And then maybe she starts crying, or maybe you'll go "*gasp*" and all the sudden you're like, "I'm in." But now what doesn't work? "I'd like that" and "I've been thinkin about you." Now we're at "I'm in love with you." Then maybe someday it'll move up to "I love you." Fast forward, now you're like, "I love you a lot. I love you more than anything in life." Now "I love you" doesn't work. It's a threshold that keeps movin' up. Fast forward, like six months, six weeks, whatever the case may be, now you're on like, "I want to marry you." "I want to impregnate you with my love." "I wanna, I wanna just send my love to you. Damn it! words just don't work anymore!" And then you say this line, and you know you've used this line before, "I just wish they'd put a new word in the dictionary bigger than love because love just doesn't describe what I feel!" And so now he or she starts asking, "Do you love me?" and you start going, "Of course I love you." "Well say it." And then it becomes "Say it twice." And it goes, "Say it three times." And then, you cross a really interesting point where all the sudden it becomes "I hate you." And you go, "Oh my god, she hates me!" And now it's like, "I hate you more than anything." And then it's like, "We're over." And then they go, "No we're not." And you go, "Yes we are." Now the words completely do not work at all, you're left with nothing. You're throwing punches under water. You're done. You know what the moral of that story is? If there is one... Never, ever, ever, ever underestimate the power of "I'd like that." You've probably noticed that unforgiving people usually have good memories. Some can hold a grudge for a lifetime. But love never keeps a record of wrongs committed against it. It forgives and is unable to think about them anymore. A peculiar witch dashes into the outlook. God, send me an angel. Haruhi is a student on scholarship at Ouran Academy, an exclusive school where importance is given to wealth and family connections. One day, Haruhi walks into the room of the academy’s host club and breaks a very expensive vase. To pay for it, Haruhi needs to work by serving the host club members. The leader of the club notices that Haruhi has great potential to be a host club member – after all, he’s great at talking to girls! The only problem? Haruhi has a secret: He’s actually a she! If you like supernatural adventure, Bleach is the anime to watch. High school student Ichigo can send ghosts. One day he runs into a Soul Reaper named Rukia, who’s just lost a battle with an evil spirit called ‘hollow’, and is hurt so badly that she needs to transfer all her powers to Ichigo. Together, they face hollows and send wayward spirits to the Soul Society. 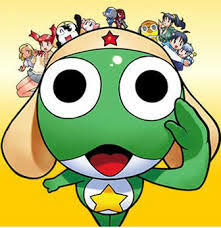 Known as Keroro Gunso in Japan, Sergeant Frog is a frog-like alien invader who finds himself on Earth and ends up in the Hinata home. He spends his time building Gundam models, surfing the internet, watching anime, getting so easily distracted that he forgets his mission to take over the world. Follow his funny misadventures as he comes across other aliens like him who’ve also gotten sidetracked from conquering planet Earth!